Bellows will walk the 350 miles from Houlton to Kittery as she tries to unseat Republican U.S. Sen. Susan Collins. AUGUSTA — The Democrat who is running to unseat Republican U.S. Sen. Susan Collins in November said Friday that she’s planning a 350-mile trek across Maine in which she hopes to listen to voters’ concerns and learn about thriving local businesses. Shenna Bellows’ 3½-week journey by foot from Houlton to Kittery will begin next month. On the trip, which she’s calling a “Walk With Maine for Jobs and the Economy,” she plans to visit 63 communities and is inviting residents to walk a few miles with her. 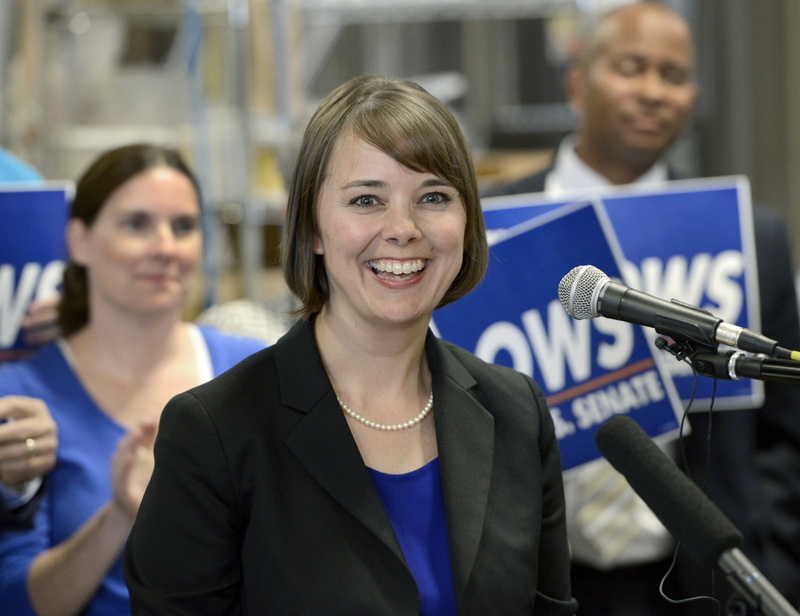 “We will be walking with Mainers to promote a different vision for our economy and the future of our country and our state,” Bellows said Friday at the Lamey-Wellehan shoe store in Augusta, where she was joined by a group of supporters. William Cohen walked 600 miles across the 2nd Congressional District when he ran for, and won, the seat in 1972. Bellows, a Hancock resident who is a former executive director of the American Civil Liberties Union of Maine, vows that she would be a voice for the working class in the Senate, but has acknowledged that she faces a tough battle in challenging Collins, a popular incumbent who is in her third term. Collins has raised more than $5 million for her re-election effort, compared with just over $1 million for Bellows. Collins, a moderate Republican who’s known as a deal maker in the Senate, was recently endorsed by Maine’s independent Sen. Angus King, who caucuses with Democrats. Bellows said Friday that too many politicians fail to connect with the public. She said she hopes the trek will allow her to take those experiences with her to Washington if she’s elected in November.